Steemit is all about community and showing love to one another. The last few weeks I have engaged in sharing of this love to the needy outside Steemit. You can read about the work here and here. But now it's time to look within the walls of Steemit and reward some members of the community for their work. That's how this contest started. Write a short story of between 50 - 100 words as a comment on this post telling us how you helped someone or how someone has helped you in the past. It must be a personal story either of you giving or receiving the help. And how that act has touched you. The winner will be decided by the community. The entries with the highest upvote shall be the winner. You must resteem and upvote this post. This is to increase visibility and also support the contest respectively. Any entry that does not follow the rules shall be disqualified. Result for this contest shall be announced this coming Sunday by 2200hrs GMT+01. All entries close by 2000hrs GMT+01 of the same day. Am grateful to @eturnerx, @bleepcoin and @tarazkp and many others for always supporting me since I started my journey on Steemit. I hope to pay back by helping as many people as I can. Thanks for always believing in me. Thanks @prettyjules for organizing this contest. On a hot afternoon,The sun was sending its rays,as though after that day,it stops punishing us with its heats. It was the day I lost my phone to the hands of thieves. I have been crying since the incidence . It was like the end of the world for me,my grief knew no bound,that i could scarcely move. But fortunately , someone called my sister with the number that some unidentified criminals have been caught and my phone was among the stolen items that i should come and retrieve it and have been grateful to that person. Thanks is a maximum of 100. There is still time for everyone to make adjustment on their post. 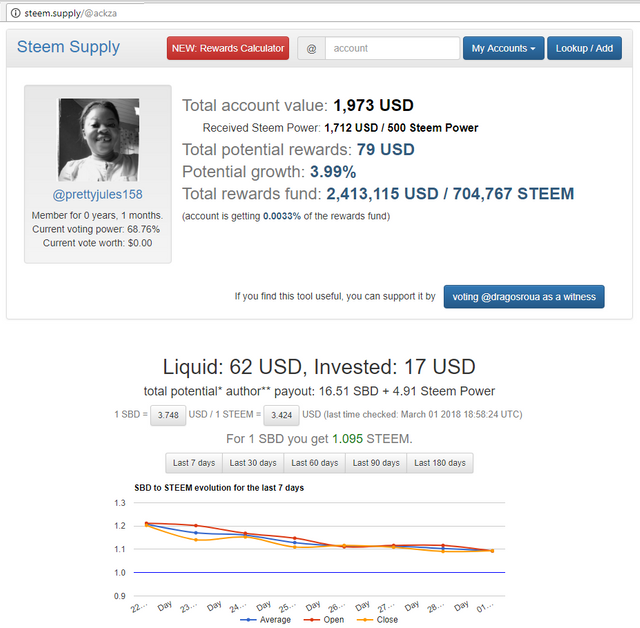 Wow I notcie on http;//steem,.supply (A tool @steem4depoor showed me to estimate the earnings you have coing to you ) saw you have around $79 a week on average, so if you keep earning at this rate you will be very close to making $400 a month! Very good! Upper Middle Class Nigerian Wages all thanks to Steem Blockchain and Your hard work! I am very proud of you, you keep posting and you keep growing and no one and no thing can stop your success! Do i still need to make adjustment on my post/comment ma'am...?? Yes can, there is still time. 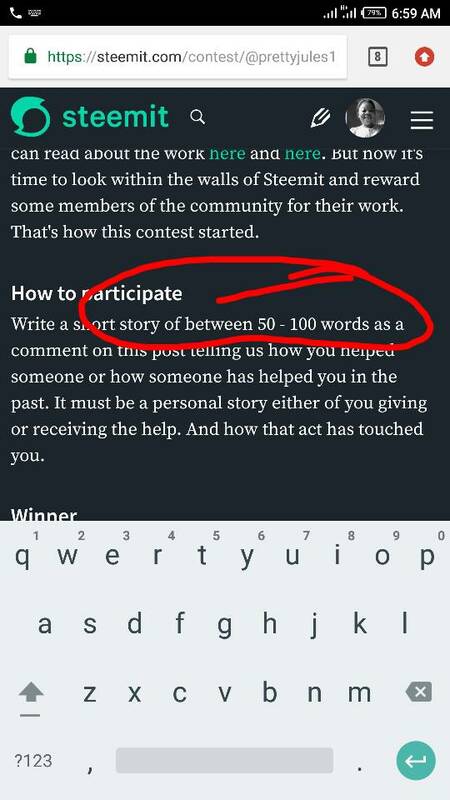 I Think those that have more than 100 words as their entry should have been disqualified already. Bacause they dont follow the simple rule of the contest. @lastdon02 please is my contest i can decide to pardon them, instead of disqualification i have decide for them to make adjustment, they still have time to do so. I don't want to be unfair to anyone, so please let this issue be forgotten. Do I add or delete some comments ma'am? Just make it 100 words,any how anyone can do it. OK ma'am done plz help cross-check... I didn't know it's more than 100 words becos I really wanted to express myself. I can't do that for you @vickyrich, cross check by your self. I don't want to be unfair to anyone. Thats a good charity work from you, be rest assured that God doesn't delay in honouring those do charity work. Man may God help your hand that blessed... It's a touchy story. I had a friend named Joshua, throughout our undergraduate days he used to be a source of blessing to me and always support me finacially anytime I don't have anything to feed because he always received huge amount as pocket money while I just received stipends from home. Recently, he was posted to Ekiti state as a corps member and unfortunately for him, he finds it add to settle down. So I help3d him financially with the little money i earn from steemit. 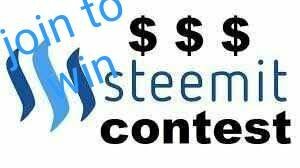 My help really touched him that he is willingly to join steemit to start blogging. You have done a good thing Introducing this Platform to Your Friend. We touch Lives in ways We least Expected . You have done well by Reciprocating The Good Deeds. One Good Turn deserves Another as the Saying goes. When i got to shcool this semester I Introduce my hostel members to steemit but they didnt not belive that this platform actually works so they asked me to withdraw some amount of money so that they will belive that this platform really works. 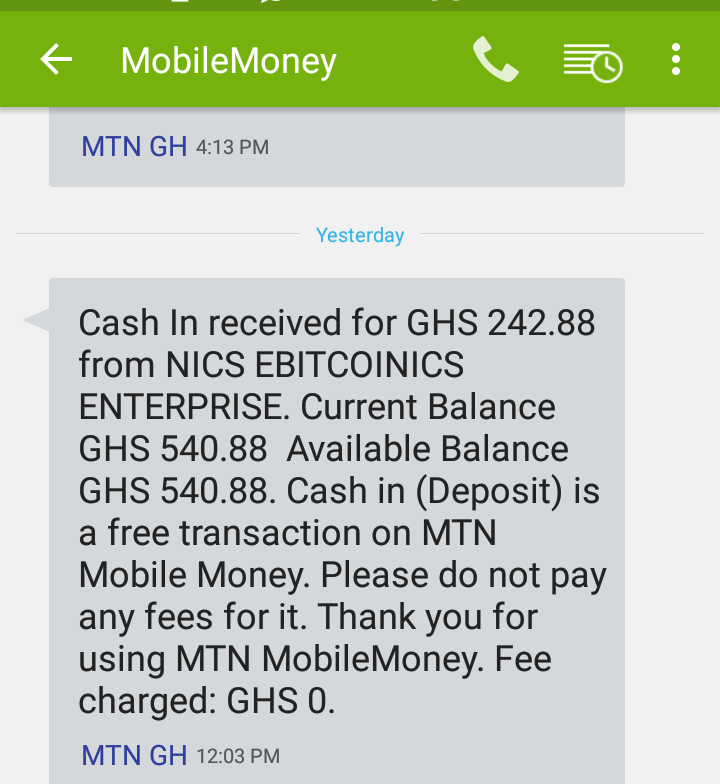 So i made a withdrawal of 8sbd which 240 Ghana cedis and shared it to them. So by doing this they all signed up and got themselves on this platfrom. Wooow thank you for your entry. Remember the highest upvote wins. Thanks @prettyjules158 for creating the contest. Here is my entry. My story goes thus, some years back while I was at the University. I think I was in 300 level or so. I went to Ibadan for a family function; Ibadan is actually my hometown and schooling is Ile-Ife helped me visit my extended family which was a good thing for me. Back to my story, on that faithful day, I left my house at Ife at about 11 a.m to Ibadan. I arrived Ibadan approximately an hour later. I had a wonderful time with friends and family alike. Somehow, I forgot that time was far spent and I had to return to Ife that day because I had a 7 a.m test the following day and the lecturer involved was not someone to be joked with. Well, i arrived Iwo road at some minutes past 8p.m with my phone almost dead. Fortunately for me, I joined the last bus available. On the bus of eighteen passengers, we were just two guys (the other guy also happened to be a student of my school) while the other people were women and children. Just after we crossed the Ibadan toll gate, the bus began to show signs that it wasn't going to take us far. The bad news was my phone was dead so there was no way I was going to tell my parents or friends back at school that I was goimg to be late. It was also raining. As the vehicle finally came to a stop in a very lonely area, I said to myself these women cannot be left here alone with their children. So I decided to stay back and help get vehicles to convey them to their destinations. The other guy disagreed with my plan and left with the first vehicle that came to our aid. His excuse was that the Olode (night guards were not to be disregarded because there was a curfew for 10p.m). I decided to play Mr nice guy, and that was how I arrived Ife at some minutes to 1 in the morning. The good thing was I helped every one of them get a vehicle which made me feel fulfilled. It felt good to sacrifice for others even if it came at huge price. I had to keep those who cared about me in suspense, I also came down with a fever some days later as a result of the cold I was exposed to along with the mercyless mosquitoes that attacked without remorse. College. My friend wanted to scare flatmate, so he hides in his wardrobe. Unfortunelly, when flatmate gets back from school, he was not alone, but with a girl. Few minutes later, two youngs doing in bed that what people usually do in bed together when not sleeping and my friend awkwardly standing in wardrobe. After the longest 15 minutes in his life he realised that this two was not going to finish quickly. He sends me sms for help. I had to interrupt, so I just...light up a cigarette at the corridor to pull the smoke alarm. Guess who was kicked off from school next day. That was funny, thank you for your entry. I'm helping the community with a personal discord account. In here minnows and people with questions can ask anything. It's at the moment a small community that helps eachother. So when iI'vespread knowledge to someone in the discord he then helps the next one and so on. This way every can participate and everyone can ask all the questions he or she has. I Believe this way i am helping the community and hopefully create alot great steemians! grazie mille per il tuo upvote, lo apprezzo molto. Dovrò compensare votando anche il tuo commento. un bel ro ti incontra amico. Thanks pretty for this contest, here's my entry to the contest. we are here to organize the strong healthy and rich to have enough extra time, money and resources to actually help those who cannot help themselves, but do so using a sustainable business model that crowdfunds and crowdsources all that can possibly be gleaned from the collective labor pool of volunteers who get reimbursed for their time in Upvotes. Today as I was driving along the Benin new Lagos road in Edo state Nigeria, around ugbowor, I was interrupted by the Edo state traffic management ,one Mr osaro Kelvin with registration number Ed010009 for over load. Great bro. Nailed. Good composition. Thank you for your entry, although is more than 100 words. As a young lad, I was taking a walk in school when I saw a friend of mine who had misplaced her money for the cab, she asked me if I could assist her in raising funds so she could get home being that her home was quite far from school. I told her not to worry and gave her all the money I had forgetting I was saving up to buy something. However when I gave her the money I felt something, something called happiness. I realized that day that money can buy happiness it's just really hard to find its salesman. it all happen at when i was broke i was saving up to buy my phone it was remaining 2000 and there was no way to get it and i really needed the phone so i can use it for ma jamb and my waec info then my close friend @cyrillseun was saving up too to buy his phone too but his money hasnt all most been completed then so he gave me 2000 from his savings from his phone to complete mine that really touched me and i showed him with thanks..sometimes you may have a good friend not only by giving you money bt we wouldnt even notice it..#ANGELSEXISTS. Sometime last year, I needed a laptop. I was still quite young as a writer and I didn't have a laptop. You can guess how frustrating it was. My best friend had a laptop, and if he were closer, maybe he would lend me once in a while, but he was in another state. He shocked me by sending it, through a friend, to me. He even sent some cash with it. He is still without a laptop, and he lost his job. The laptop is what I use to earn money, and so, I look for ways to support him. I wish I could do more for him. @djoi thanks for your entry. for the main time do what you can to assist him am sure he will get a new job soon. This is a good contest. Please note that some contestant have written more than 100 words which is again the rule of the contest and they should be disqualified immediately. All thanks to @prettyjules for this contest. I was traveling on an expressway in a Red Cross ambulance when we met an accident we stop bye to check on the victims some said we have something very important to do than waiting here. I insisted on checking the situation of things. Behold we stop to check the casualties, we rescue about 18 people who are seriously injured. Give them first aid and take them to the nearest hospital. It touched me when one of the casualties happens to be a relative of someone telling us not to check. 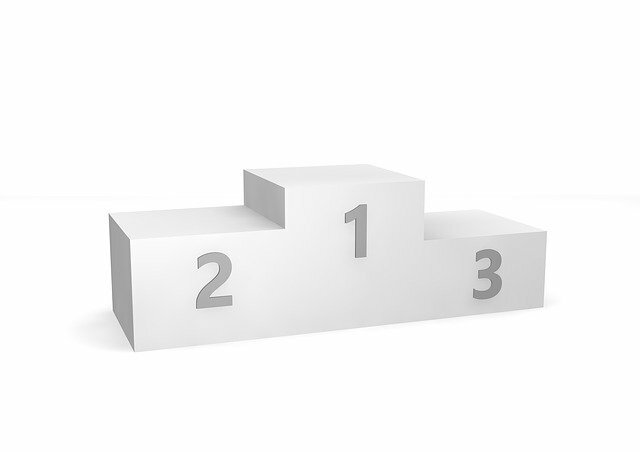 Thank you for your entry, remember the highest number of up vote wins. You know i have no story to be told. But let me tell a bit experience of helping. When somebody was helping others ini public area so there are many perspectives appearance on people's mind. But it's ok. I was walking around for enjoy some fresh air in an evening then from Mile away i Saw an old woman was trying to accross to other side of the path. There is no one seen over there. I decided to help. In august 2014, I had just received my licence to practice as medical laboratory scientist on Saturday in my school, UNN. An interview for internship was to hold in University of Abuja Teaching Hospital and I had no money to travel from Enugu to Abuja for the Interview. After putting the two hundred naira remaining with me into the offering box in church on Sunday, I prayed for divine assistance. After church, I decided to do 'babi Allah' (begging) in my hostel, for support and I realise the amount of money that I used to transport myself to Abuja. Thanks for your entry, remember the highest number of upvote wins. I have a little friend and her name is Jovelyn . I see her every weekends. She's just one of the hundreds of kids living in slum that we are helping through feeding and learning program. 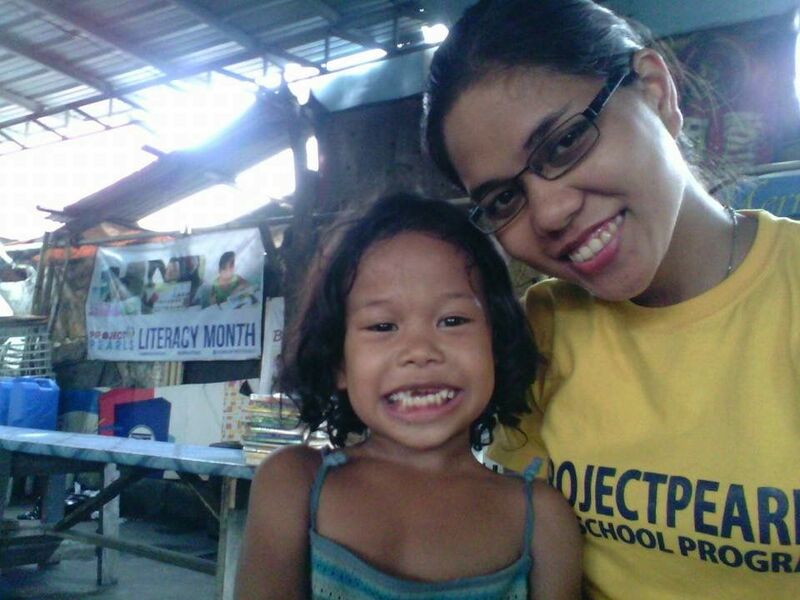 I belong to a non-government organisation called Project Pearls that helps less fortunate kids. Two years ago, Jovelyn's a sweet tiny girl who loves to hug me and take pictures with me. As she grow bigger, she also became healthier because of the daily food that we provide for kids like her. I hope that someday through having proper education she can finally step out of poverty and have a better life. As I help her, she's also helping me to see life on a broader and brighter perspective. She make me realise that I am fortunate enough to give back to the community. I would always love helping her as she also always help me relieving my stresses from work through her warm hugs and lovely smiles. I will always be your big sister who helps and supports you all the way! Woooow, thanks for your entry. I hope you can also make me your sis as well. When nothing seems real, give your self some time and think things over. Just want to know, highest number of upvotes or highest earnings on the comment (entry)? I was really sick and was admitted at the hospital, I was having crisis and i had shortage of blood. The doctor said i needed 3 pant of blood and to undergo series of tests. My parents didn't have enough money to pay bills, my dad's blood type was the same as mine, so he could only donate 1 pant of blood. We were searching for money to buy the remaining pants of blood and to undergo the tests which costs thousands of Naira. I was pale and was going, just when it seems all hope was lost, the owner of the hospital came and ordered his staff to do the tests free and to give me blood from their blood bank. It was just like an Angel in disguise of a humanbeing. Anyways, since you have started sharing SBD, please remember to send mine. Lol @chijiokecj i can't forget you. I am Charles Okeke and i got this awesome help from my platoon inspector during my NYSC camp days in Awgu, Enugu state Nigeria. The day i was given my NYSC uniform, the trouser got missing from my bag. So i have no complete uniform to join the camp closing parade. I cried to my camp commandant and pleaded for replacement. But no assurance. I continued to beg for almost 10days. To my utmost surprise, the last night before camp closing parade, she called me and handed me a new set of uniform, not just the trouser. I was very happy. Congratulations! This post has been upvoted from the communal account, @minnowsupport, by juli11157 from the Minnow Support Project. It's a witness project run by aggroed, ausbitbank, teamsteem, theprophet0, someguy123, neoxian, followbtcnews, and netuoso. The goal is to help Steemit grow by supporting Minnows. Please find us at the Peace, Abundance, and Liberty Network (PALnet) Discord Channel. It's a completely public and open space to all members of the Steemit community who voluntarily choose to be there. When I moved to New York the adjustment from the west coast was difficult. I ended up couch surfing for awhile and it was tough to get work. I met a lovely friend who invited me to stay with her until I got my life straightened out. My kind friend was a widow with five boys that worked hard to take care of them and her home. She was one of the kindest women I have ever met in my life and if not for her I would have ended up homeless. There really are angels amongst us! As the oldest of four, I grew up with ample opportunities to help. Helping three younger brothers navigate school, dating, and family was often a fulltime job, that helped define me. I will always remember entertaining my middle brother by reading to him. At age six he had believed that a towel cape granted him the ability of flight, from our rooftop. So, as he lay in bed that first night with his arm in a cast, I read him a book, which I can only hope made up for not discouraging his first and last attempt at flight. Helping is always a win-win situation as it makes the person I helped feel good and also makes me feel good. Not long ago I discovered a blog by someone called @terminallyill. He was writing fantastic tutorials but wasn’t getting the recognition he deserved. He was the happiest man on earth that day and it led to him being discovered. His appreciation touched me and we became good friends.